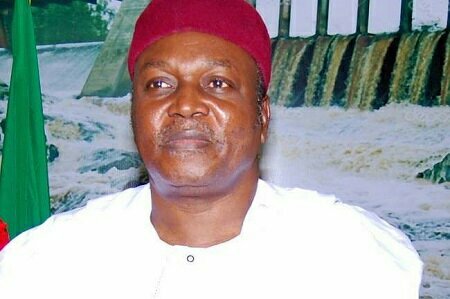 Taraba Governor, Darius D!ckson Ishaku, on Tuesday appealed to youths in the state to support his second term bid. “I want you (the youth) to go out during the election and re-elect us. I will empower you to be millionaires; you will be exporting milk and meat; you will be driving Mercedes Benz, instead of Keke NAPEP,” he said. The Nation reports that Ishaku spoke during his third year anniversary and Democracy Day celebration held at the Jolly Nyame stadium Jalingo. He said: “Today, over 3000 youths have been employed and thousands empowered through the Rescue Mission’s skills acquisition programme. “Those empowered are now self-reliant and have become employers of labour. The story of one Aisha is a good example. She was empowered; she later employed a widow and five other persons and her business is still running. “Some Germans came to invest in tourism in the State, on getting to the mountain in Gembu, they were crazy. But upon hearing news of attacks and killings, they all left,” he said. He said, apart from tourism, he has achieved tremendously in all other sectors, including agriculture, education, health and infrastructure, adding that the Nigerian Medical Association gave him award because of the hospital he built in Wukari and the ongoing reconstruction of the hospitals in Bambur and Gembu.